[UPDATED SCHEDULE] 2017 WLAC, WCIGS, WCTC, WBrC, and Re:co Symposium are coming to Budapest! 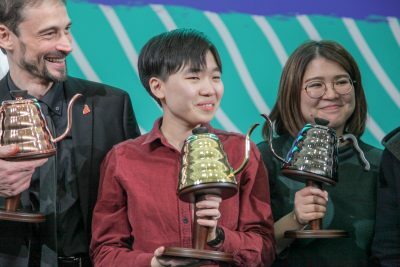 The World Latte Art Championship, World Coffee in Good Spirits Championship, World Cup Tasters Championship, and World Brewers Cup, brought to you by Hario, are being produced by World Coffee Events in Budapest 13-15 June. Over 130 competitors from all over the globe will come together, in an exciting display of artistry and technical mastery. The championships are directly preceded by Re:co Symposium, a gathering of coffee leaders for education, discussion, and action. The competitions take place at the SCA World of Coffee Budapest event, and will also be broadcast via Livestream from the Budapest Portal. Full schedules of competition and individual routine times have been released and are available below. In-person attendees will have the chance to try amazing coffees at the Brew Bar, brought to you by Title Sponsor, Marco Beverage Systems, and at the Espresso Bar, with espresso from Sandalj. 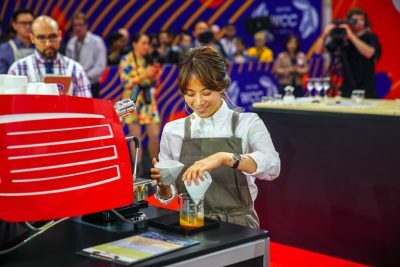 The bar experience includes the opportunity to interact directly with competitors, as they share their personal coffee during their Serve the Audience bar shift. Competitors in the World Latte Art Championship (WLAC) and World Coffee in Good Spirits Championship (WCIGS) will go head-to-head on espresso machines and grinders from our Qualified Sponsors Astoria and Anfim, all of which will be fed by water from Pentair Everpure, and cleaned with products from Cafetto. The World Brewers Cup (WBrC), brought to you by Hario, returns for its seventh edition in 2017. Water filtration will be provided by Brita, and cleaning by Cafetto, grinding equipment from BUNN, hot water towers from Curtis, and Taf Coffee as Coffee Sponsor. 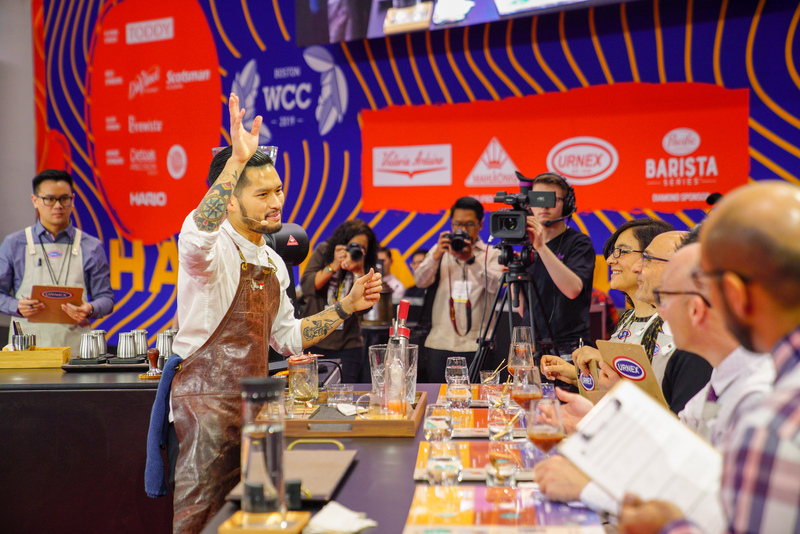 A fan favorite, the World Cup Tasters Championship (WCTC) is expected to be particularly nerve-wracking this year, with two-time World Cup Tasters Champion, Gabriel Céspedes returning to defend his title. Technivorm provides Brewing Equipment for each round, with water filtration supplied by Brita. Champions of both the WBrC and WCTC will have the unique opportunity to join Ally Coffee on the Official 2017 Origin Trip, taking in three new regions across Brazil this year. 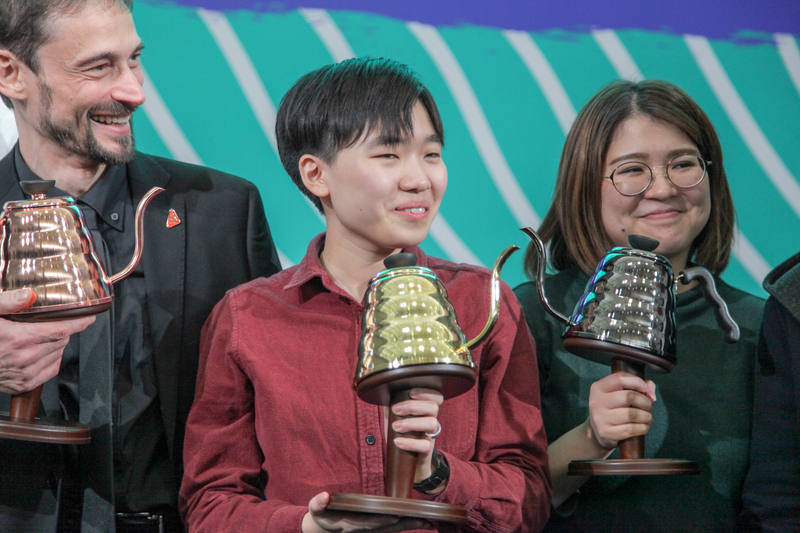 Last year the Cezve/Ibrik Championship (CIC) was produced by the Specialty Coffee Association of Europe in Dubai, and this year it returns to World of Coffee. As a product of the unification into the Specialty Coffee Association, the World Coffee Events team has been able to work in partnership with European staff to produce this year’s event, using the WCE infrastructure to share the event with the world. Visit http://www.ibrikchampionship.org to learn more about the 2017 Cezve/Ibrik Championship, brought to you by Title Sponsor Loumidis. Buying entry to World of Coffee includes access to the Budapest Championship stages, across three days. Online pre-registration is advised, with passes available from https://www.eventhaussecure.com. Registration for Re:co Symposium is available for €1095 (incl. VAT), and includes complimentary access to the World of Coffee show floor. For World of Coffee attendees looking to purge some steam after the Budapest Championship — the Astoria Streets of Budapest Barista Party at Tesla on June 15 has you covered! The Astoria photo-booth will be operating from 8PM, so you can capture the moment with coffee friends old and new, and DJ Soulja will be on the decks, blending his mix of R&B, hip-hop, funk, and soul. Tickets include 2 complimentary drinks, and will be available for purchase at the Merchandise Store, between Hall A and Hall F, for 10000 HUF incl. VAT. Don’t miss out — a very limited amount of tickets will be available on the door of the venue until 9:30 PM. 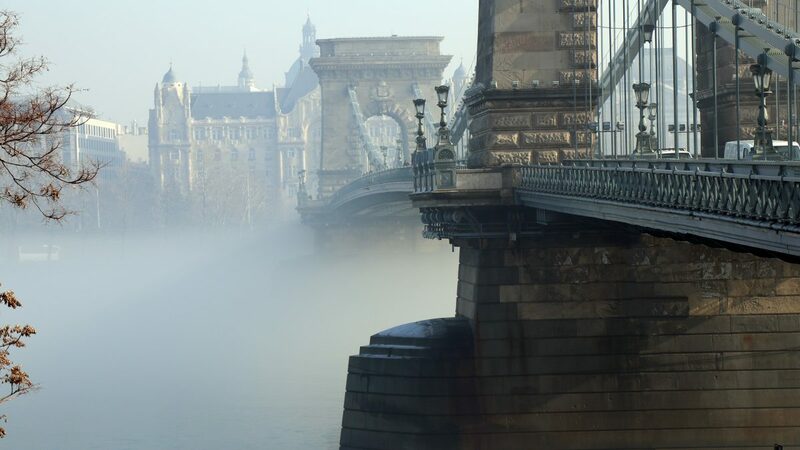 More information about the events, including schedules, can be found at our Budapest Portal. For up-to-the-minute updates, follow along on Twitter, Facebook (WLAC, WBrC, WCIGS, WCTC, Re:co), and Instagram, and don’t forget to use the official hashtags: #BudapestChamps, and #RecoBudapest. To attend yourself, check here for hotel information.